What is soapstone? Soapstone is metamorphic rock. A metamorphic rock is a result of a transformation of a pre-existing rock that has been subjected to very high heat and pressure, which cause physical and/or chemical changes. Metamorphic rock can be formed by pressure deep inside the Earth, by tectonic processes such as continental collisions, or when they are heated up by an intrusion of hot molten magma from the Earth’s interior. The chief mineral in Soapstone is talc, but it also contains varying amounts of magnesium, chlorite, mica, quartz, and iron compounds. 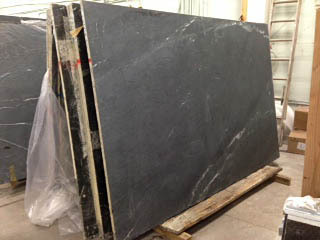 Soapstone comes in every shade of gray, sometimes with white veining and very often with varying amounts of green as well. Soapstone is completely unaffected by heat. You can bring hot pans right off the burner or straight out of the oven and set them directly on the soapstone counter. Soapstone does not stain either. 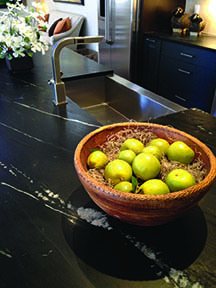 Red wine, lemons and limes, none of the top offenders will leave a stain on soapstone. 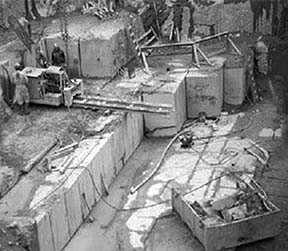 Soapstone is softer than other natural stone, but over the years Dorado Soapstone has tracked down the hardest varieties and brought them to the market. As soapstone weathers and ages it will darken and develop a rich patina and the application of oil or wax will quickly darken the stone and enhance the colors on the surface. Since soapstone is non-porous, the wax never penetrates the surface of the stone. In fact, nothing penetrates the surface of soapstone. Because of this, soapstone is the only natural stone that does not require sealing, and the application of wax is optional and purely cosmetic. So, what is soapstone? Soapstone is so much more than just an old metamorphic rock. Soapstone is the most organic, sensual, and interactive surface material on earth and Dorado Soapstone has been providing the finest soapstone from Brazil and India to America since 2001. Come visit any of our locations to experience soapstone for yourself.